If there’s anything more picture-perfect than a wedding in Kauai, Hawaii’s “Garden Isle,” we have yet to see it. You are in the midst of the tropics, surrounded by endemic wildlife, soft rain, the sound of the trees as they blow in the wind, and the towering mountains overlook nearly every square inch of the islands. Best of all, you have the vast Pacific Ocean as your backdrop. Kauai is the most rural and isolated of the Hawaiian Islands, which adds to it a touch of romance and adventure. Seemingly tucked away from the big tourist crowds and massive attractions, Kauai offers an intimate space with deep connections to nature. Obviously, a wedding in Kauai presents a geographic barrier for some family and friends who cannot or choose not to travel. The bonus? Fewer people you invite will say yes than if it were in your hometown, so your wedding may be a little easier on the wallet than you had initially planned. If you have your wedding on Kauai, realize that not everyone you might want present will be able to make it. Who will be able to go? What can you do to help? Ask yourself these questions and resolve any issues early on so there are no disappointments later on. One of your biggest dilemmas will be where to have the wedding. 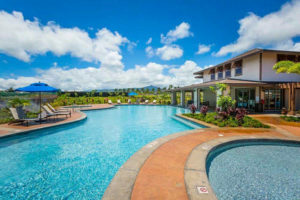 You may be pushed in a certain direction based on venue availability or proximity to Kauai condo rentals. Convenience aside, there are countless places on the island to have a wedding that invoke the magic and wildness of the island. Below are three examples of beautiful, quiet beaches that are worth considering. This beach is beautiful and accessible, two of the most important things to consider for your wedding day. 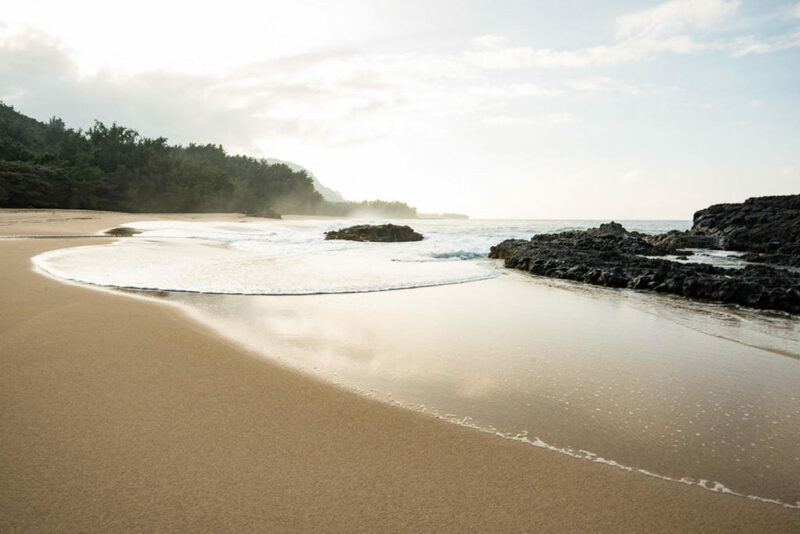 Located in Poipu along the South Shore of Kauai, this beach is a top destination and connects to the famous Manhaulepu Heritage Trail. The combination of beach and mountain views make for a stunning spot to tie the knot. At the end of a long dirt road, Polihale Beach is one of the most intimate and secluded options on the island. Surrounded by the dramatic cliffs of the Na Pali coastline, Polihale offers the longest stretch of beach in the state. Accessible only by a bumpy dirt-to-sand road, this beach is a great wedding spot for adventurous couples. Hanalei Beach is famous for its pier that reaches out like a long finger into the Pacific. It is a popular wedding spot on the island – and with good reason. On the north end of the island, this beach has been immortalized in wedding pictures for centuries. If you want to do a bigger wedding on a beach surrounded by lush tropical greenery, this is the place to do it. 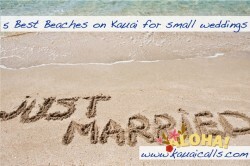 Read more about wedding-perfect Kauai beaches and how to organize the perfect small wedding here: www.kauaicalls.com/5-best-beaches-on-kauai-for-a-small-wedding. Looking for more information? Check out the 5 Best Beaches for a Small Wedding. Proximity here is key. 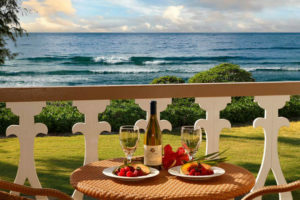 Choose Kauai rentals near the wedding location for ease of travel. 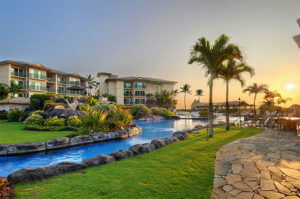 Ideally, you want to plan to have guests stay within walking distance of the venue and your beachfront rental property. If guests are expected to drive the night of the wedding, arrange a shuttle so that no one has to drive under the influence. For more information or to book your wedding party accommodations, contact us at 888-822-2403. We can help connect you with the right people to help ensure your wedding day runs smoothly and provide you with a place to enjoy a romantic getaway once the party is over.